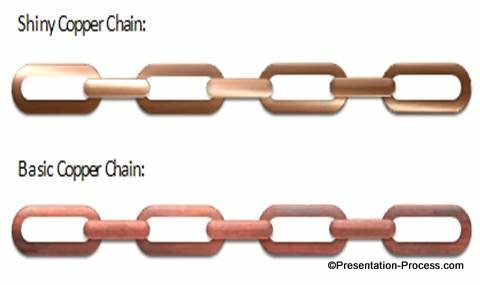 Discover how to draw a beautiful metallic chain in PowerPoint in one minute. Follow our simple step by step instructions to create this useful diagram. Draw another rounded rectangles and place it one inside the first one. 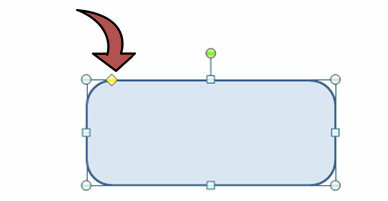 Draw a third rounded rectangle that matches the length of the first rectangle. 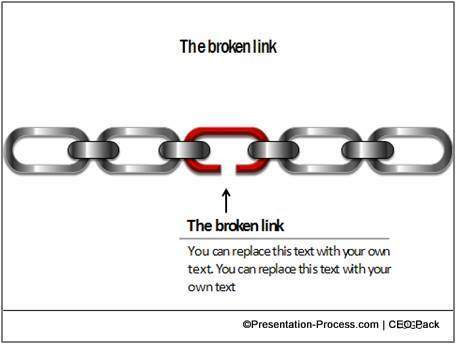 This forms the horizontal link for the chain. Select shape 1 and 3 of the chain. 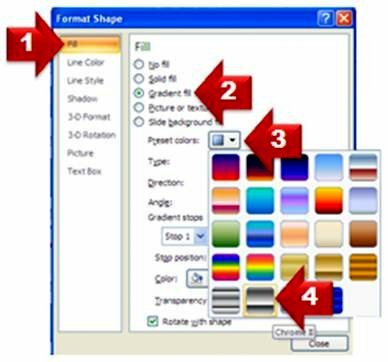 Right click and go to Format Shape -> Fill -> Gradient Fill -> Preset Colors -> Chrome II. Note: These preset gradients are only available in PowerPoint 2010, 2007 and earlier versions. PowerPoint 2013 does not contain preset gradients. You will need to use a grey fill color and add a gradient manually. Once you create a fully editable diagram to serve as the base. You can try different variations to suit your specific need. 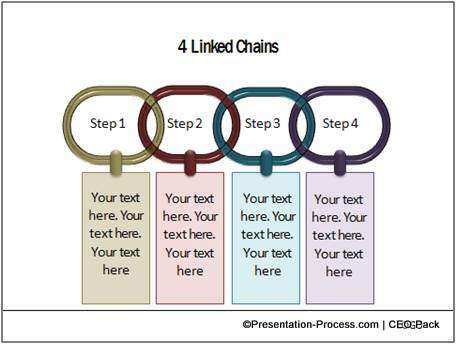 Chain is an excellent metaphor to represent connection, link, relationship etc. 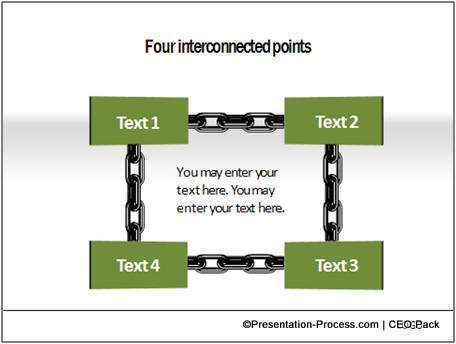 There are a number of uses for the diagram in a business presentation. 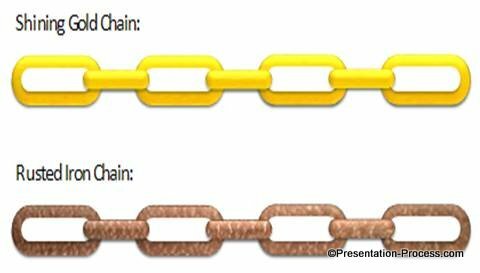 We wish to show you some diagram templates from our ‘750+ PowerPoint Charts & Diagrams CEO pack’ that showcases the use of chain diagrams. All the 750+ diagram templates in our CEO pack are fully editable. So, you can just copy the diagrams from our templates and create professional presentations in minutes. Why waste time creating your graphics and diagrams from scratch, when you can invest the time to hone your content? Please browse through our diagrams collection and see how the CEO pack can change the way you create your business presentations forever.